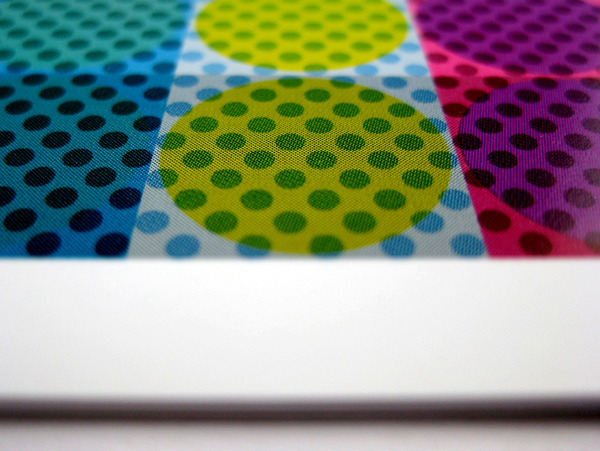 Max Bill and Herbert Bayer would have loved these prints. 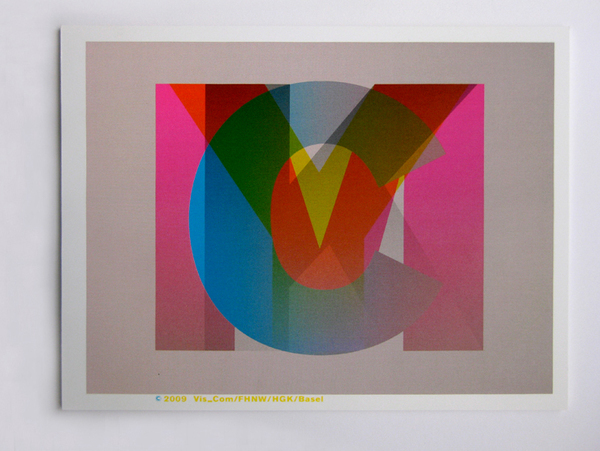 They are part of CMYK, Ornament und Bildentwurf, Basel im Plakat, a publication exploring the possibilities within the CMYK color spectrum. 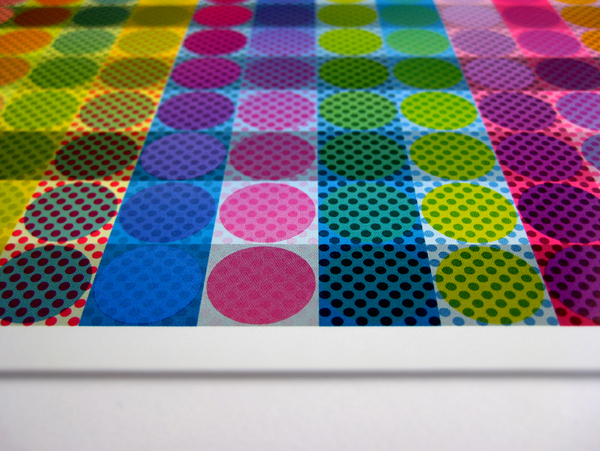 The book includes 13 color plates each designed by a different student in the Masters program at the Basel School of Design/Institute Visuelle Kommunikation, FHNW. Collaborators include Pouya Ahmadi, Kambiz Shafei, Gregory Vines and Matthew Terdich. 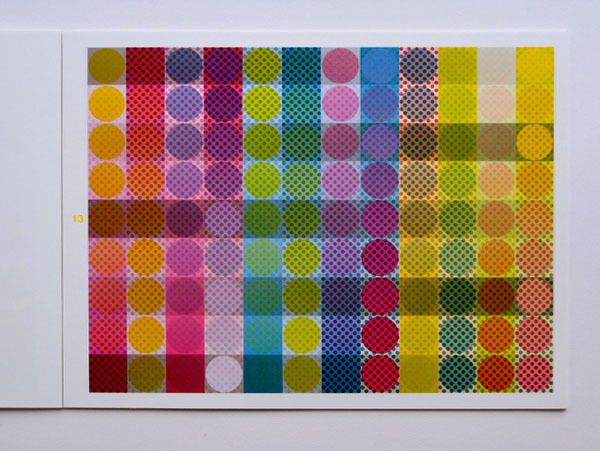 Plate number 13, shown above, was designed by Matthew Terdich and consists of a series of interwoven bands of color and halftone pattern set as either knockouts or overprints within each color separation.